It is far too easy to say that Germany’s aggression against Poland is the sole cause of this war. This war is the effect of the vindictive Treaty of Versailles, the continual failure to treat Germany as an equal, and the other blunders of French and British diplomacy. Although there were no clues as to the education or social status of the letter’s author, his words revealed a fairly sophisticated approach to the understanding of history – a readiness to point to multiple explanations of the origins of the world wars. But what is especially interesting is how the letter writer referred to the “vindictive” Treaty of Versailles. In a considerable number of other letters I have come across in local newspapers during the interwar period, while multi-factor explanations of the wars were rare, what is striking is that there was a consensus among active letter writers that Versailles was the main “villain” or factor that “inevitably” led to the outbreak of conflict in 1939. What was it about the treaty, which was officially signed on June 28 1919, that – in the eyes of its critics – sowed the seeds of a new war? 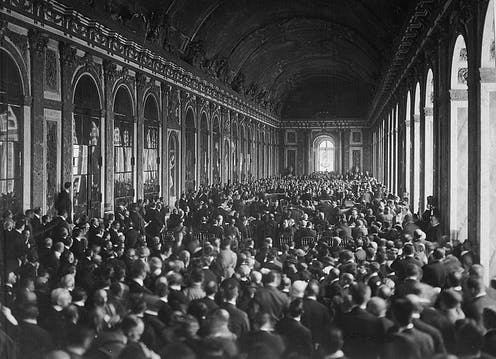 While we must be careful not to overuse hindsight, many historians now agree that the Treaty of Versailles created more problems than it solved. On the positive side it should be acknowledged that much was achieved at Versailles. As the historian Margaret MacMillan pointed out in her incisive 2001 study, Peacemakers: Six Months that Changed the World, between January and June 1919, the participating delegations at the main peace conference accomplished an enormous amount. A new League of Nations and International Labour Organisation were created, mandates were handed out, the Versailles treaty with Germany was completed. Separate treaties with Austria, Hungary, Bulgaria and Ottoman Turkey were also near the finishing line. On the other hand, some of the other great problems that had faced the peacemakers at the start of the peace conference had only been shelved. 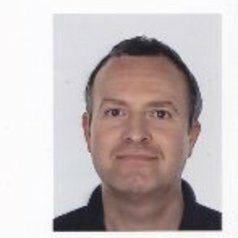 In particular, what Britain, France and other Allied governments referred to as the “German question” had, in retrospect, not been solved. German militarism, arguably one of the chief causes of World War I, had dominated the proceedings at the 1919 conference. The peacemakers were determined to prevent any revival of German military power so they forced the German representatives to accept very strict limits on all branches of the country’s armed forces. In addition, in a clumsy rearrangement of the map of Europe by the main peacemakers, it is estimated that Germany lost 13% of its territory, something that came to be a source of bitter resentment to German nationalists in the 1920s. This, of course, was later “weaponised” by extreme nationalists such as Adolf Hitler and his National Socialist party. The Nazi leader became determined to dismantle Versailles piece by piece, using whatever means he deemed necessary - persuasion, lies, blackmail or military force. The Germans were also required by the Versailles Treaty to pay substantial financial penalties. The war reparations payment demanded of Germany was enormous. New York World, 1921. Many Germans came to the conclusion that the Treaty of Versailles was indeed punitive and “vindictive”, a view increasingly shared by opinion makers and politicians in Britain during the course of the interwar period and echoed by various post-1945 historians. According to A.J.P. Taylor, for example, the Versailles Treaty lacked “moral validity”. One of the British delegates at Versailles itself, the economist John Maynard Keynes, helped spread the growing interwar perception that Germany had been treated unfairly. Indeed, his now-famous 1919 tome, The Economic Consequences of the Peace, became a regular topic for debate in interwar book clubs and discussion circles. Significantly, 80 years later, in a special millennium issue, The Economist magazine in 1999 referred to the “final crime” of the peace conference as being “the Treaty of Versailles, whose harsh terms would ensure a second war”. Today, as we reflect on the end of the Great War and the subsequent peace conference, it is still common to hear commentators voice such views. Yet, is history that simple? While Versailles was certainly an important factor in creating the conditions for a new conflict just 20 years later, it is open to question whether it was the most important factor. A multiplicity of other elements were also involved during that 20-year period, such as the inability of the League of Nations to create sufficient collective cooperation and bring stability to international relations and errors made by diplomats in their misreading of the foreign policies of other nations. The hugely negative impact of the “Great Depression” on the international economy also undermined people’s faith in liberal democracy. Most notable among those causes, though, was Hitler’s intransigent Social Darwinian conviction that war is the great test of a nation, an unyielding belief that he had developed during his time in the trenches in World War I.